Every time you interact with someone new, you can be sure that they will notice your smile. We have all met someone who impresses us with their beautiful smile and stunningly white teeth. You may also know someone who is unsatisfied with their smile and who socializes and laughs less than they otherwise would because they feel self-conscious about their teeth. At Hillsboro Dental Excellence near Hillsboro, we provide state-of-the-art tooth whitening methods to ensure that you feel great about yourself and the way your smile looks. In just one hour, we can give you beautiful white teeth that will leave a lasting and positive impression on everyone you meet. Most adults experience noticeable tooth dullness and staining from aging, coffee, tea, soda, and brightly colored foods. Fortunately, surface stains are completely reversible with advanced tooth whitening methods. Zoom! Teeth Whitening is one of the most highly requested teeth whitening procedures because it is both gentle and fast-acting. We hope that you’ll be pleased with your Zoom! tooth whitening experience at Hillsboro Dental Excellence. You can sit back, relax, and enjoy your patient comforts while Dr. Skinner gives you bright white teeth with our low-sensitivity formula. You can expect a quick 45-60 minute procedure that produces immediate and obvious results. Our Zoom! 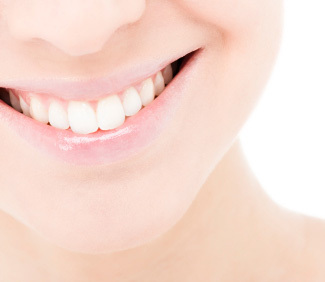 in-office teeth whitening creates a smile that is eight shades brighter on average. Your teeth will be isolated so that your lips and gums will be untouched by the tooth whitening formula. Dr. Skinner will apply the whitening gel and activate it with a special light. The gel will go to work removing surface stains from the teeth. Steps 1 and 2 will be repeated 3-4 times, in 15 minute intervals. You, too, deserve a glowing smile that you can be proud to share. Call us today at Hillsboro Dental Excellence to get started if you are in the Hillsboro – Forest Grove area.